Celexa is a brand name prescription drug that is indicated for treatment of depression, according to its product label. Celexa was developed and manufactured by Forest Pharmaceuticals. The active pharmaceutical ingredient in Celexa is citalopram hydrobromide, a substance that inhibits the reuptake of serotonin, a chemical messenger in the brain. Celexa is available in 10mg, 20mg and 40mg tablets. Celexa has several side effects, including weight loss. 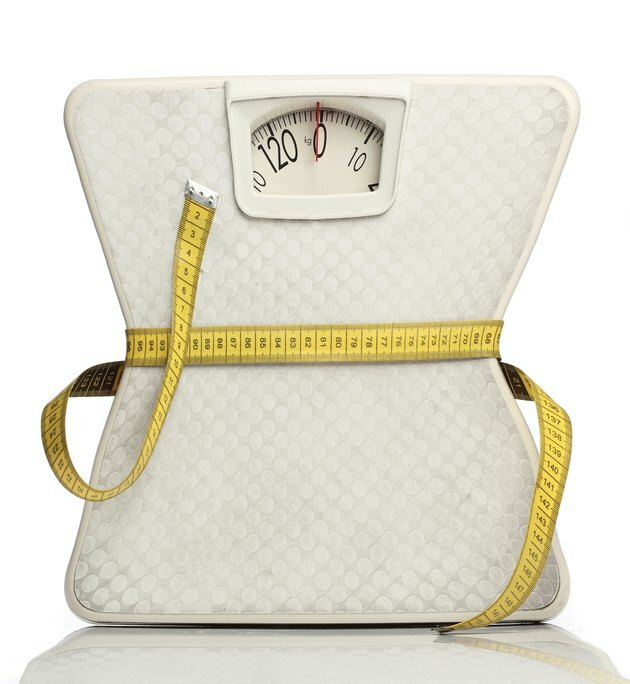 According to the product label, patients treated with Celexa in controlled clinical trials had a weight loss of 0.5kg, or 1.1 lbs., compared to no weight changes in the placebo group. It is possible to lose a large amount of weight while on Celexa, according to eMedTV. While it is not known exactly why Celexa causes weight loss, one explanation is related to common side effects such as loss of appetite, nausea and diarrhea. A second explanation is that weight gain can cause depression in some people, and treating depression can have a reverse effect. Research by J.M. Murphy published in the International Journal of Obesity in 2009 found that gaining weight while depressed can lead to severe depression and that obese people are five times more likely than non-obese people to overeat during a period of depression, leading to weight gain. A 21-year-old female reported that she lost weight while on citalopram because the drug enabled her to regain energy and motivation to exercise and decreased emotional eating. People who are taking Celexa for depression should talk with a physician if unintended weight loss occurs. Citalopram is excreted in human breast milk. The product label says that two infants breastfeeding from mothers prescribed Celexa were reported to have experienced weight loss. One infant recovered completely after the mother discontinued the drug. No follow-up information is available on the second infant. Celexa therapy in nursing mothers should be discontinued immediately if the risk of exposure to the drug by the infant outweighs the risk of taking the mother off the antidepressant. Binge-eating is a serious eating disorder that is characterized by frequent consumption of unusually large amounts of food, usually in secrecy, according to MayoClinic.com. Binge-eating commonly co-occurs with depression and obesity. It is caused by alterations in brain chemicals, psychological and environmental factors. Research conducted by S.L. McElroy published in the Journal of Clinical Psychiatry in 2003 discovered that citalopram is effective in reducing weight, frequency of binge eating and severity of illness in patients with a binge-eating disorder. This research supports the weight loss effects of Celexa in people who are depressed and binge-eat. What Effects Does Ritalin Have During Pregnancy?